Given the number of recent financial institution failures, banks would benefit from taking a hard look at their loan review function. Ask yourself: Are you getting the same report year after year without recommendations to help you strengthen your credit risk management practices? Are your loan review consultants providing you tools to help you do your job better? Do they even have a methodology to risk rate loans, or is it simply their opinion? Risk rating loans is not a simple process. If it was, some of these failures wouldn’t have occurred. To properly risk rate a loan, many variables must be considered. For example, although the debt service coverage ratio (DSCR) may be less than 1.00, that does not necessarily mean the credit deserves a criticized (special mention) or classified (substandard, doubtful or loss) risk rating. Suppose the borrower has excellent liquidity and collateral protection is good. What would be the risk rating now? What if the borrower is in an industry that has been significantly impacted by current economic conditions … how would that impact the risk rating? Bottom line – a risk rating is dependent upon many variables, and how these variables interplay with each other. You better have a solid methodology to back up your conclusions. Capacity (cash flow) to repay the loan. Capital of the borrower to provide a cushion against unexpected losses and evaluation of the overall financial condition of the borrower. Character of the borrower and their willingness to repay the loan. Conditions in the marketplace that may impact the borrower. Credit Administration is also assessed to determine if a loan was structured properly for its intended purpose and if it is being monitored properly on an on-going basis. These variables are weighted based on their importance and impact on potential deterioration of the credit. Each of the six variables is assigned a score from 1 to 5 (with 1 being poor, 3 being average, and 5 being superior) based on the current characteristics of that variable. The variable score is supported by reviewer comments to justify the variable score. The score is then multiplied by the variable weight to determine the overall variable rating. The six variable ratings are then added together to determine the credit risk rating score. The credit risk rating score is compared to a table that has ranges for each risk rating to determine the appropriate relationship risk rating. Our methodology has been tested over 30 years and has been reviewed by all regulatory agencies during bank exams. TGA uses a proprietary loan review system to complete reviews. This highly regarded system enables us to complete reviews in a timely manner while thoroughly documenting all key loan information. The system also allows us to be consistent and transparent in our risk rating assignments, but still permits reviewer judgment in assigning the risk rating. This program is available for our clients to use, which allows both TGA and the client to risk rate loans similarly, resulting in very few upgrades and downgrades during the independent loan review assessment. 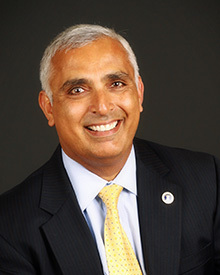 Bo Singh is the president of T. Gschwender & Associates Inc. (TGA). TGA is a diversified consulting company that has been providing services to financial institutions since 1984. We like to describe ourselves as a highly sophisticated “credit department,” able to handle all functions from initial borrower due diligence to collateral liquidation, and everything in between. Our goal is to provide these services in a timely and cost-effective manner, allowing our clients to tap into resources they would not otherwise be able to employ internally. Contact us at info@tgschwender-assoc.com.